Kathy Hindman Wheat has a birthday today. Nancy Spears McEwen posted a message on Kathy Hindman's Profile. 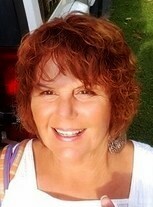 Kathy Hindman Wheat updated her profile. View. Kathy Hindman Wheat added a photo to her profile gallery. New comment added. Kathy Hindman Wheat changed her profile picture. Kathy Hindman Wheat added a photo to her profile gallery. Kathy Hindman Wheat posted a message. New comment added. Kathy Hindman Wheat added a comment on her Profile. Kathy Hindman Wheat has a birthday today. New comment added.